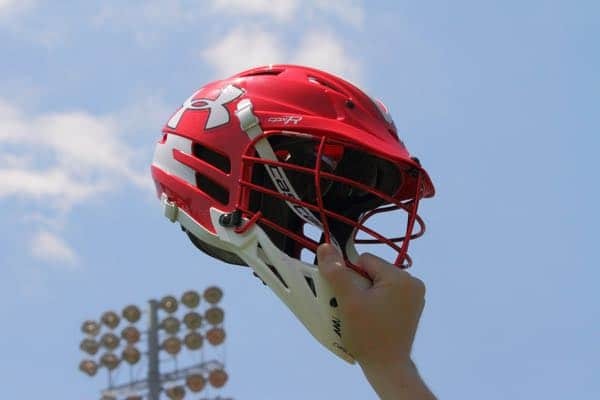 As part of this week’s series: The Best Players I’ve Seen, Mike Costello from AllLacrosseMichigan.com shares 10 of the best Michigan lacrosse players he’s seen in person. He throws in a few honorable mentions as well. See where these players ranked all-time in Michigan on the state’s Best Known Records page. My high school coaching career began at Canton, for their club program. We had players from Canton and Salem and then added laxers from the new Plymouth High School. It was rewarding and enjoyable to coach a team that started slowly, but had a meteoric rise that culminated with appearances in consecutive state championship games in 2003 and 2004. We then were forced to split in 2005, when the MHSAA took over. Our schedule that first year was brutal at best, but it gave me the opportunity to coach against some quality teams, and again witness some fine lacrosse. I got some great advice from the former Detroit Country Day Coach, John Kenney and decided to coach at a private school, Ann Arbor Greenhills (Ann Arbor, Mich.). 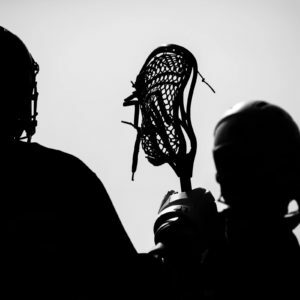 Here, I’ve seen some great lacrosse played by Division II schools and most recently, through my website, All Lacrosse Michigan, seen more games than ever. Over the past 15 seasons, I’ve seen some talented players – many have moved on to the college ranks. Michigan has had a number of Division I players and some are starring at the collegiate level. Are we at the Maryland or New York level? No, but we’re making strides. I’m looking forward to seeing who will be the next big thing! For now, let’s look back at the last 15 years and see who are my Top 10 players out of Michigan. Drop a comment below to share your experiences. I’ll gather some of the best and post them here. Jason Alessi has been one of Michigan’s best players. Alessi had the fortune to play on the same stage as Sergio Perkovic, but he shined just as brightly. His 2013 title game performance was spectacular – the midfielder had six goals and six assists and could not be defended. Forest Hills Northern/Eastern was in a “pick your poison” dilemma. Do we stop Perkovic (try to stop) or Alessi? In the end, they did neither. Alessi has found success in New Haven, as a walk-on for Yale. 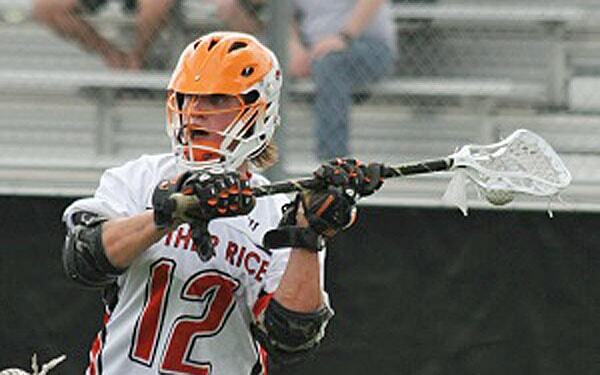 He went to school to play football and found his way on the lacrosse field, as well. Cavalieri was a big time goalie for DCD and for Syracuse. In high school, he led the Yellow Jackets to state titles in 2003 and 2005. He had fast hands and could clear the ball extremely well. Cavalieri was a two-time All-American and had 354 saves in his senior season. His goals against average that year was an incredible 6.8. I do remember him at Syracuse getting a start in the NCAA tournament and having an amazing day, in leading the Orange to a win over Maryland in that quarterfinal game. This goalie was the reason that Birmingham downed Brother Rice in 2002 to win the state title. Demorest was an All-State, All-Midwest and All-American in his magical senior season. He took defensive MVP honors in that championship game. Demorest is still involved in lacrosse as a brand manager for Cascade. 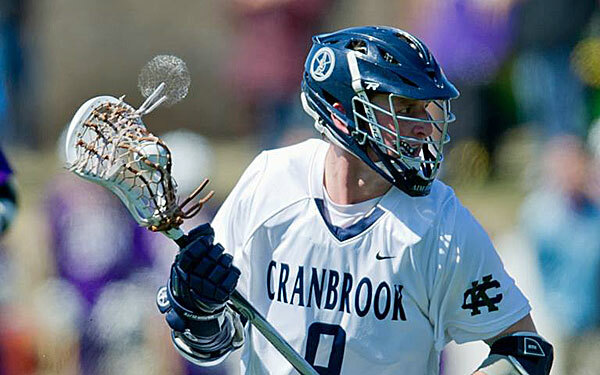 Matthew Giampetroni tallied 455 career points with Cranbrook School. The All Time leading scorer in Michigan High School history must have strong shoulders. I saw him carry Cranbrook to two state finals. They won in 2013 and lost in 2014. But, I think Giampetroni played better in the loss. He battled the entire Detroit Country Day team for three quarters, before running out of gas. Every time the Yellow Jackets scored, Giampetroni had an answer. A dodge down the alley – goal. Time and room – goal. DCD won 12-8, but it was a battle. Cranbrook’s appearance in the final was made possible by Giampetroni. He got the game winner in overtime against Forest Hills Central in the semi-final game. Lazarsfeld was an All-American and All-State attackman from little Ann Arbor Greenhills. He shone brightly at the Senior Showcase game at Detroit Country Day, playing with and against the top seniors in the state. He was a blazing-quick attackman who could stop on a dime – think Will Manny (Boston Cannons). Lazarsfeld also played midfield and took face offs. I had the opportunity to see him every day in practice for four years. He was amazing and so much fun to watch. It was hard to blow the whistle, he would make you a fan and not think you were a coach. He had a tremendous work ethic – he came back from a broken collarbone and a severe elbow injury to have an outstanding high school career. Lubs could have been an All American anything. Perhaps the best athlete to play lacrosse in Michigan. He was fast, quick, strong and had an infectious personality. Lubs was constantly talking on the field and everyone knew where he was. At the 2009 Senior Showcase game, he made his presence known every shift. He would strip the ball from an attackman and lead the transition. He had great stick work and never met an offensive player he couldn’t dominate. He earned All-American honors while at Rockford as well as Florida Southern. 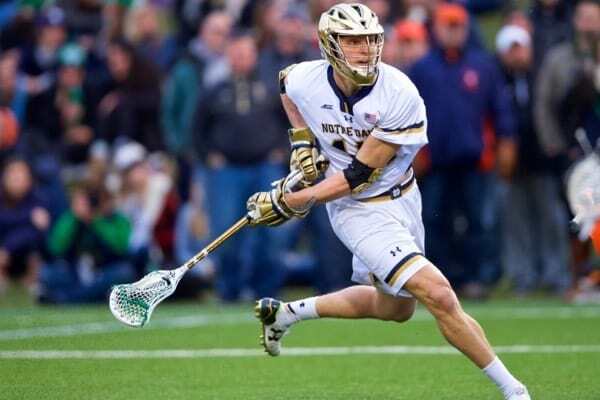 In 2014, he signed an indoor pro contract with the Colorado Mammoth. When Plymouth-Canton-Salem had to play at Catholic Central in the first round of the 2007 state tournament, we knew we had to defend attackman, Patrick Nemes. The final was 12-2 in favor of the Shamrocks and we did not do a good job, obviously. It seemed as though he scored all 12 goals. Our defense was no match for the big attackman. He was just too strong. Nemes dodged well and had a powerful shot. The unanimous First Team All-Stater went on to play at Syracuse before finishing up at Michigan State. Sergio Perkovic played in Rob Ambrose’s final game as head coach. Perkovic exploded on the scene as a junior in 2012. He wowed the MHSAA title game crowd with his size, shot and savvy. And he got better as time went on. As a senior, with a hostile Grand Rapids crowd bellowing his name every time he touched the ball, Perkovic led Rice to the title again. The midfielder scored three goals in the title game and made his teammates better. The memory that I have is the final embrace that he and Head Coach Rob Ambrose had at the conclusion of the game – that would be Rob’s last game at Rice. It was a special moment. And, of course, the All-American and two time Michigan Player of the Year continues to shine in South Bend. Stu Shannon was a big midfielder who had an overpowering shot. He was a three-time All-State player and a two time All-American. Shannon could carry and swim-move anyone – that’s what 6-foot-8 will let you do and he had a great shot on the run. He was deadly on DCD’s man-up unit. He got the ball on a time and room – forget about it! When he graduated in 2007, he was Country Day’s all-time scoring leader with 161 goals and 95 assists. He won a state title in 2005 as a sophomore. The bearded defenseman was a man among boys back in 2005 as a Junior. He was a third team All-State player that year and the Ann Arbor News had him on the First Team All-Area. I saw attackmen run away from his side of the field and move the ball quickly to avoid being guarded closely by this imposing player. In his senior year, Stansik was a first team All-Stater, the first player to garner All-American honors for AA Pioneer and the Player of the Year according to the Ann Arbor News. He scored five goals from his defense position in 2006 and was as dominating a player as I have seen.